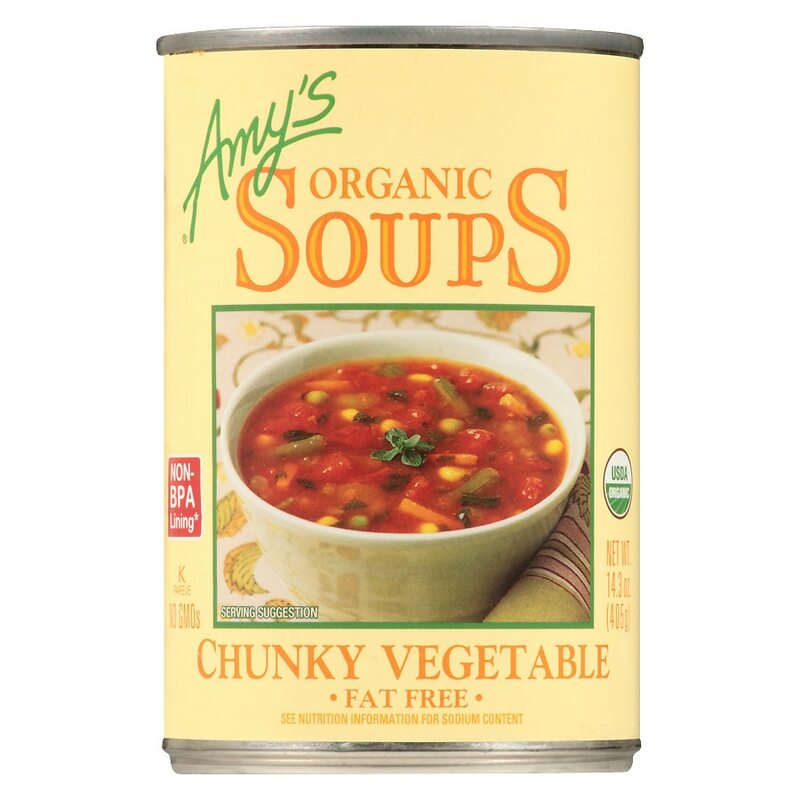 Chunks of fresh, tender, organic vegetables in a flavorful broth give this soup a satisfying homemade taste. It contains no dairy or gluten, is fat free, cholesterol free and a good source of fiber. Heat and serve. Please do not overcook. Do not add water. © Amy's Kitchen, Inc. Individuals with Food Allergies: This product is made in a facility that also processes foods containing wheat, milk, soy, tree nuts and seeds (including sunflower seeds). In addition to gluten testing, strict allergen control measures are implemented at all levels of production. Amy's Kitchen does not use any peanuts, fish, shellfish or eggs.